How to add effects to video and convert it into other format at the same time? Why does video effect paly an important role in video editing? Those are common questions and for most users, video effect mainly is about that. Luckily all of these can be solved by adding video effect. 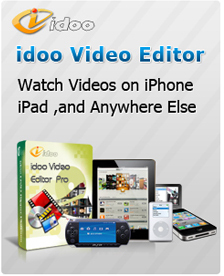 idoo Video Editor is an easy-to-use video effect maker which is especially suitable for beginners. The effect function is isolated from the others, which simplified the operation, and the clear interface will help uses to handle it readily. 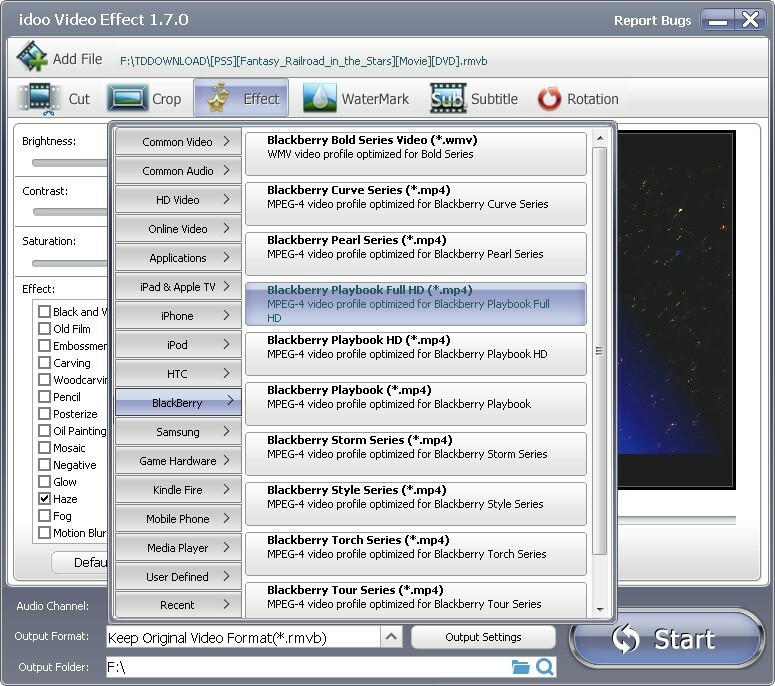 Meanwhile, this video effect editor integrates other functions, and you may convert your videos into almost any video format. When we finished adding effects to videos, we often need to transfer them to other media devices or upload them and share with our friends. For example, we may edit the music or video effects on PC and then transfer it to iPhone5 or post it on YouTube. The first thing to consider then is how to convert the videos into the format we want. idoo Video Editor can solve this problem for you. And the following part will show you how to do it. 1. 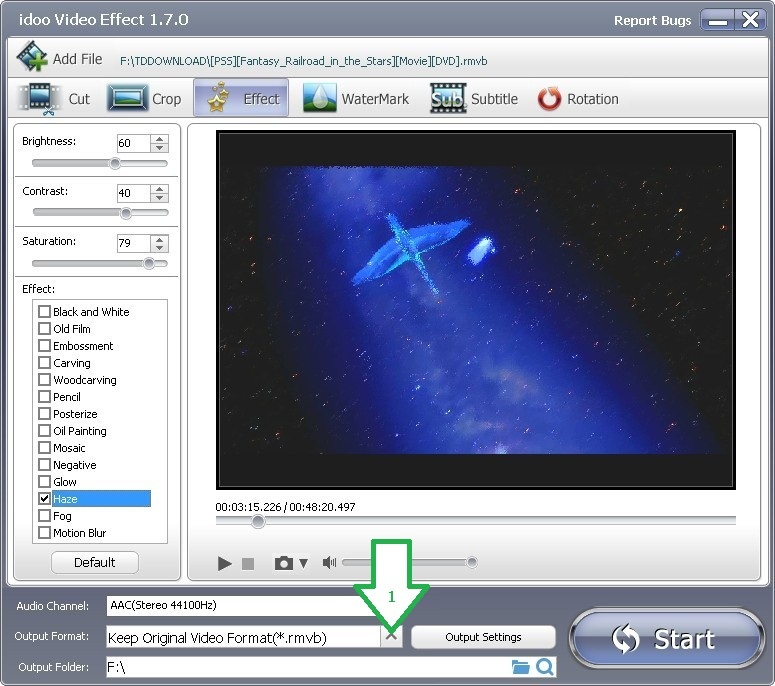 Add file to edit and add the effects you want, and you may see the edited video in preview box. See picture above. 2. Click the drag-down list of “Output Format” (Arrow1). 3. You may select the file type you need in the list of output format. 4. When you finish all settings, click “Start” to begin editing. Then you may check the output file or edit it.